I practice law as if it’s all about our clients, because it is. The relationship and trust I build with my clients is the defining part of my reputation. I’m here to serve you, guide you through a difficult time and achieve the best possible outcome. Drew Nichols is an experienced trial attorney in the areas of family, criminal and civil law. He spent the initial years of his legal career as a prosecutor for District 21 serving the people of Cleveland, Garvin and McClain County. He didn’t waste anytime getting into the courtroom and handled his first jury trial only a few months after getting sworn in. While a prosecutor, Drew handled a variety of cases with a primary focus on drug prosecutions. He maintained one of the highest caseloads in the District Attorney’s Office with an average of more than 250 cases being prosecuted at any given time. Drew’s time as a prosecutor provided him with the unique advantage of being in the courtroom on an almost daily basis. In 2004, Drew started his own law practice and hasn’t looked back. 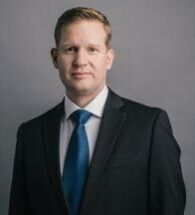 Since leaving the DA’s office, Drew has expanded his knowledge and practice of the law in many areas including personal injury and general civil litigation. He has achieved fantastic results for hundreds of individuals facing serious crimes. He has successfully litigated and resolved almost every type of family law matter. His family law cases often involve complicated asset division and highly contested custody matters. In essence, Drew does it all and he does it all well. Drew is meticulous, organized, personable, aggressive, patient and caring. He is well known within the community and the State of Oklahoma. He cares about his clients and takes on their troubles as if they are his own. Drew has served as a speaker on behalf of the Oklahoma Bar Association to other Oklahoma attorneys. He has returned to OU Law School many times to serve as a guest judge for current students and has addressed local schoolchildren on the law and it’s role in our society. Outside the office, Drew enjoys spending time with his wife and their three children. He is involved in his church and enjoys serving as the large group leader teaching Sunday school to Kindergartners thru 5th Graders. His other interests include exercising, hiking, movies, college sports and the Oklahoma City Thunder. Disabled Army veteran charged with Leaving The Scene Of A Motor Vehicle Collision Without Stopping And Giving Required Information and Improper Lane Change. Student at the University Of Oklahoma charged with Indecent Exposure and Battery.